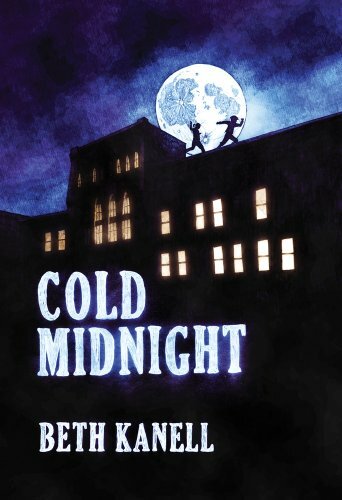 SUMMARY: Teens Claire Benedict and Ben Riley have been climbing the roofs of town at night — each for a different, and private, reason. When they meet, they realize they’ve seen something related to a recent murder of the Chinese laundry owner. Their struggle to work with the detective on the case, and stay out of major trouble, tosses them into danger from both fire and blizzard. Not to mention the criminal. Or is there more than one? THE BACK STORY: Based on a real “cold case” of the murder of Sam Wah in 1921. It took 3 years for me to pry enough details from the oldtimers in town to realize what had happened, in this multi-ethnic Vermont town as the veterans of World War I brought their pain back to the region. WHY THIS TITLE: I like a mystery that has some darkness to it — don’t you? WHY SOMEONE WOULD WANT TO READ IT: By the time you finish tracking along with Claire and Ben, you’ll know who killed the Chinese man, and why … more importantly, you’ll know why the real Vermont town involved never closed the case, and isn’t likely to. AUTHOR PROFILE: Beth Kanell lives in northeastern Vermont, with a mountain at her back and a river at her feet. She writes poems, hikes the back roads and mountains, and digs into Vermont history to frame her “history-hinged” novels: The Long Shadow, The Darkness Under the Water, The Secret Room, and Cold Midnight. Her poems scatter among regional publications and online. She shares her research and writing process at BethKanell.blogspot.com. AUTHOR COMMENTS: Two weeks after this book came out, three “oldtimers” in town approached me and whispered the name of the real murderer. And each was a different name! But I think I know … and like the news reporter at that time, I plan to keep the secret. What a great adventure to have Snowflakes in a Blizzard feature this book today! Readers, when you were a teen, were you a rebel like Claire? Do you still watch today for news of local crime? Sounds interesting. I like historical novels and mysteries so I’m guessing I can’t go wrong with this one. Adding to my want to read list. Good luck with the book.